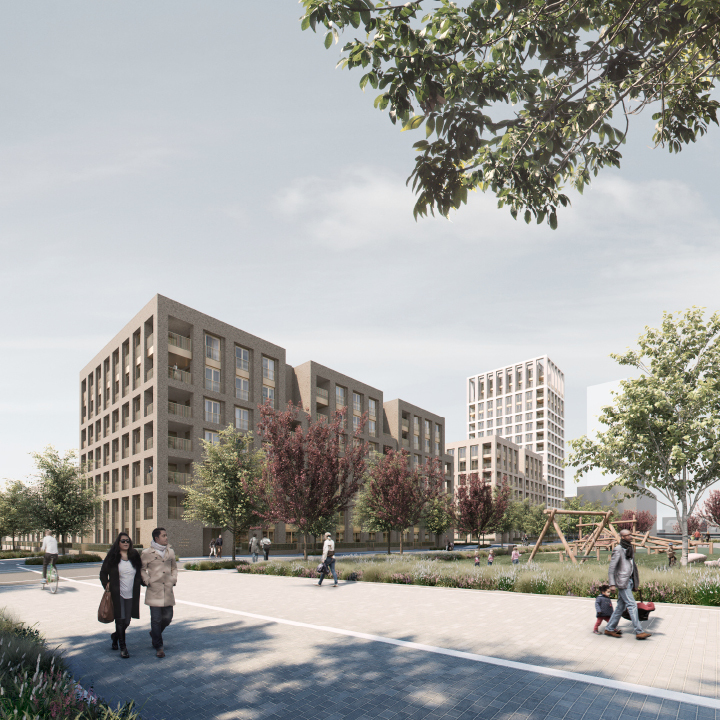 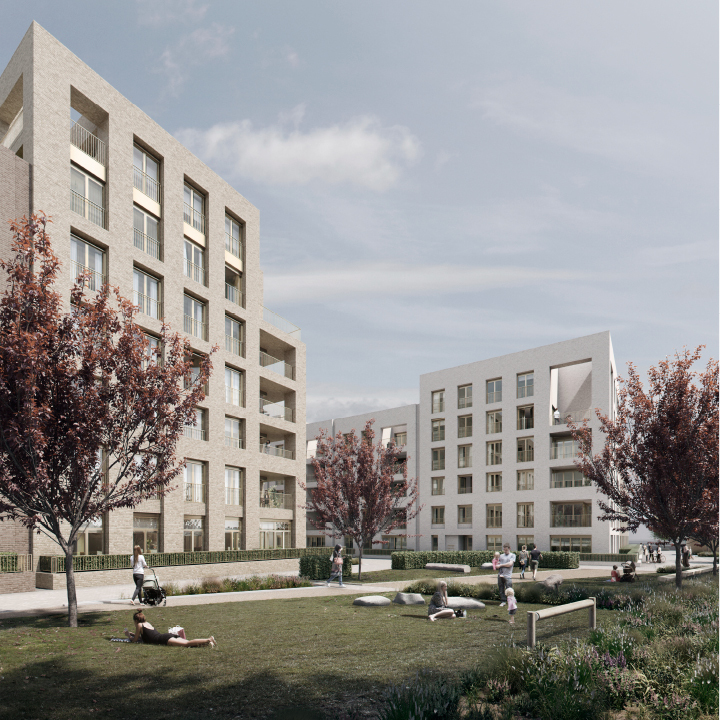 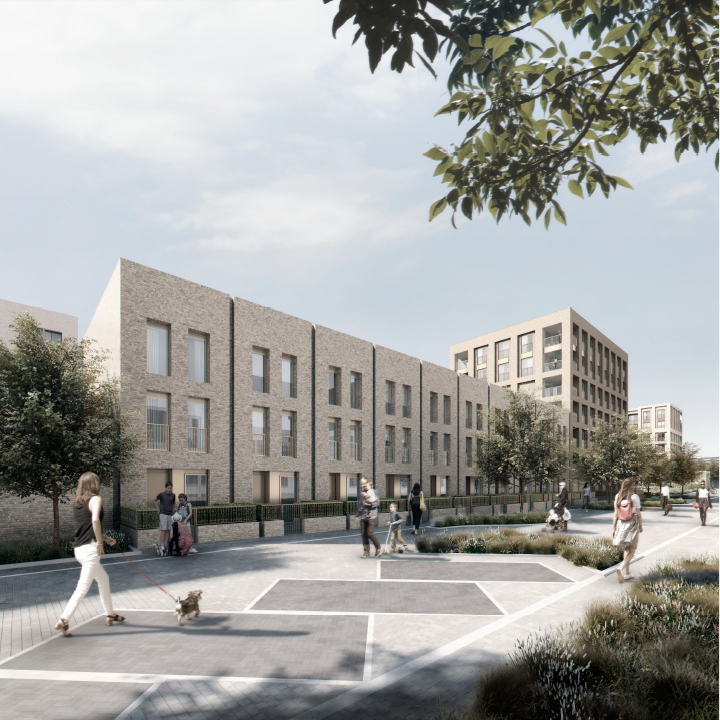 Submitted for planning to the London Borough of Barnet as part of the Redrow Homes Colindale Gardens masterplan, this scheme will, if built, provide 483 new homes. 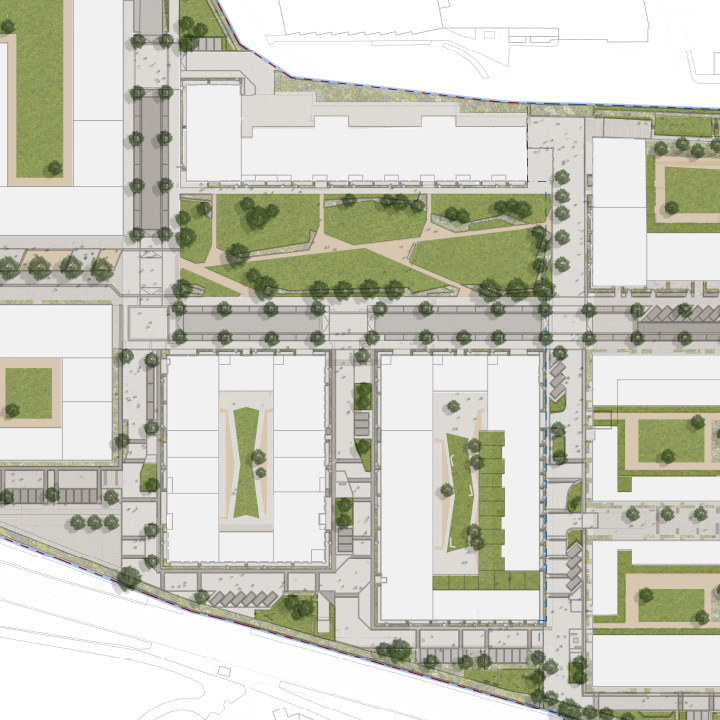 The three distinct urban blocks are centred around a garden square. 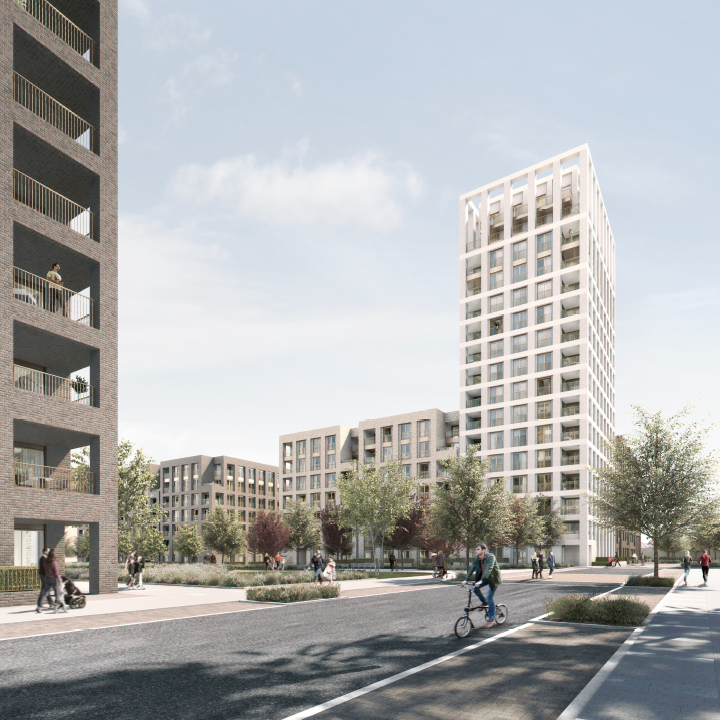 They form a gateway between the lower density and more open character of the initial phases of the masterplan to the east, and the more urban and public facing future phases to the west. 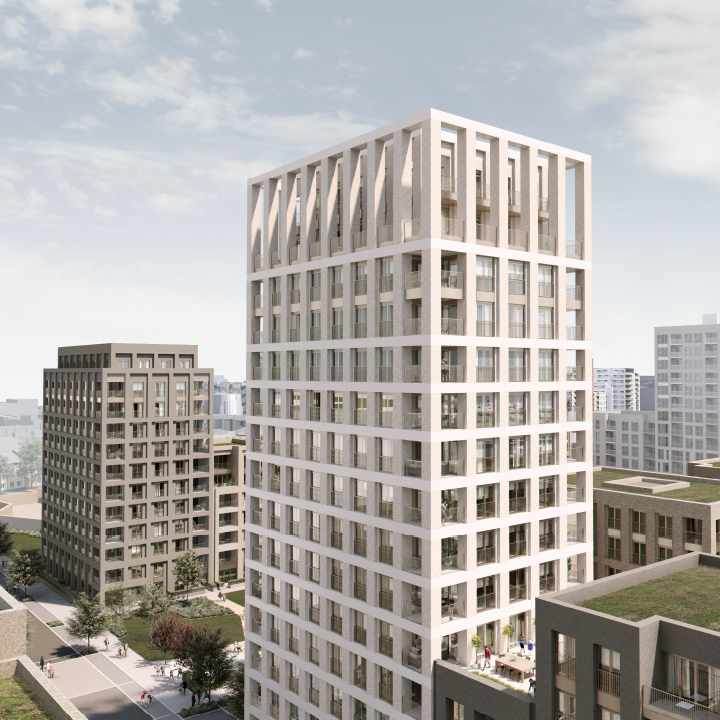 The blocks are composed of a series of buildings of varying scale and character. 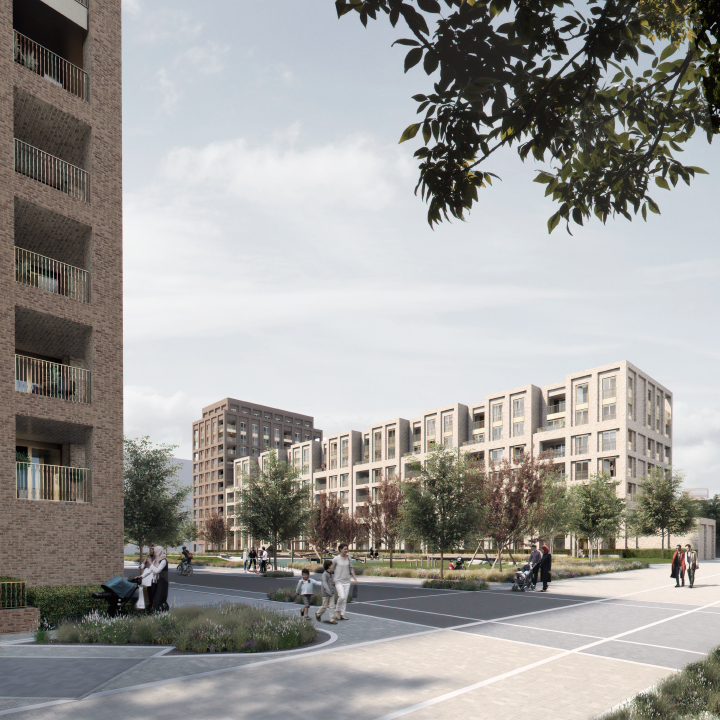 They range from a sixteen storey tower to the seven storey mansion blocks that line the Garden Square and three storey townhouses addressing the lower scale context to the south. 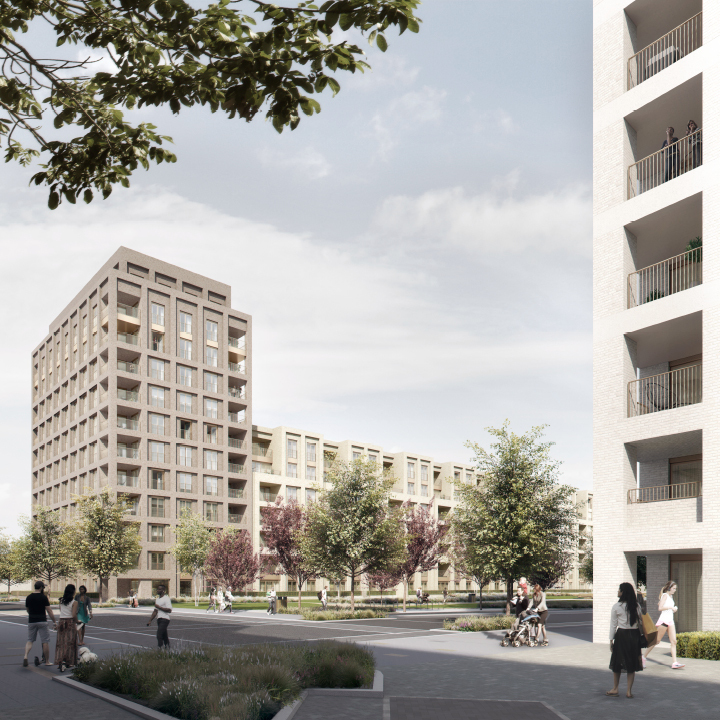 The proposal is unified by the predominant use of brick with differentiation and variety provided by different brick tones, subtle articulation and detail.